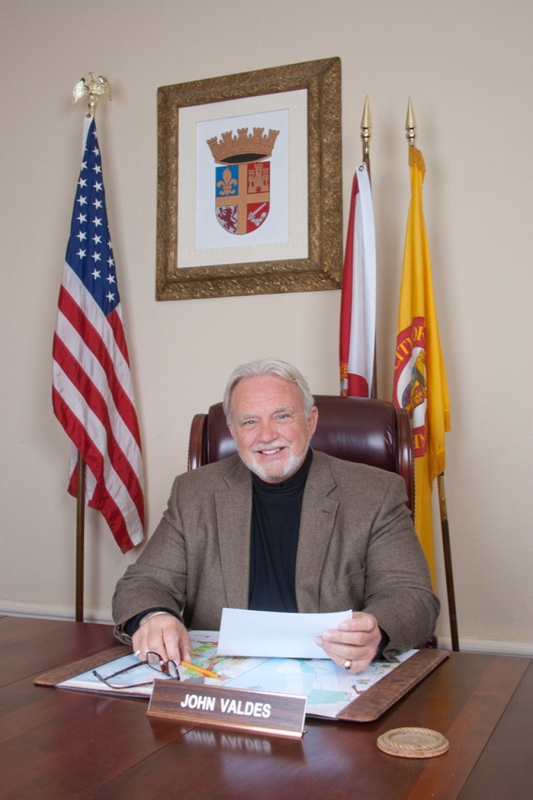 Clean Up City of St. Augustine, Florida: The "FIXER," JOHN OTHA VALDES, makes unethical campaign promises, illegally uses City seal to solicit construction company business? The "FIXER," JOHN OTHA VALDES, makes unethical campaign promises, illegally uses City seal to solicit construction company business? JOHN OTHA VALDES showed his true colors. 1. JOHN OTHA VALDES took a position on an issue likely to come before the city commission as a quasi-judicial hearing -- White's Wharf. UNETHICAL. ILLEGAL. UNSEEMLY. 2. JOHN OTHA VALDES bragged: "I'm a fixer. I fix things." Truer words were never spoken. This is the man who said to a City inspector, "I CAN MAKE IT FALL DOWN," about a building on Washington Street, the illegal demolition of which JOHN OTHA VALDES was fined a mere $224 by our fawningly obeisant St. Augustine Code Enforcement Board, the same Board that fined then HARB Chair and ex-Mayor CLAUDE LEONARD WEEKS, JR., for destroying 62A Spanish Street (DON PEDRO FORNELLS HOUSE). 3. JOHN OTHA VALDES wants to build MORE "parking garages, errr parking structures." He says he wants to build one behind the Lightner Museum! That idea was rejected in the 2002 Mayor/Commission race, where it was the only issue. Yes, JOHN OTHA VALDES supports spending more of our government money on flubdubs, flummery, dupery and nincompoopery. We, the People, don't need any more parking garage -- the one we have is often unoccupied. Let the "touristic industry" build any parking, on their own funds. No more Corporate Welfare for ex-Mayor LEN WEEKS, his businesses or their tenants (or his father-in-law, beneficiary of a no-bid, below-market lease with City Hall for a coveted space on the loggia of the Lightner Museum. 4. JOHN OTHA VALDES says he ran the Site Development Division of J.E. Jones in Royal Kingdom of Saudi Arabia. No work is done in the Royal Kingdom of Saudi Arabia without bribes being paid to the Saudi Arabian royal princes. VALDES' construction company website brags that he OWNED a construction company in the Royal Kingdom of Saudi Arabia, which he sold to his British and Saudi partners before moving to St. Augustine. I've asked JOHN OTHA VALDES for all documents.